Experience Vitoria through the eyes of a local private guide! Browse our tour 'suggestions' - each can be customized just for you. Our Guide offers 2 unique (and customizable!) tours in Vitoria. When are you visiting? Our Guide offers 2 unique (and customizable!) tours in Vitoria. Your local guide offers you a warm welcome to Vitoria, in the heart of northern Spain's Basque Country. Vitoria is a delight to explore; its medieval streets harmoniously intermingle with Renaissance palaces and Neoclassical churches. Your private Vitoria tour will help you explore the city's most enchanting corners in the company of your educational and entertaining guide. 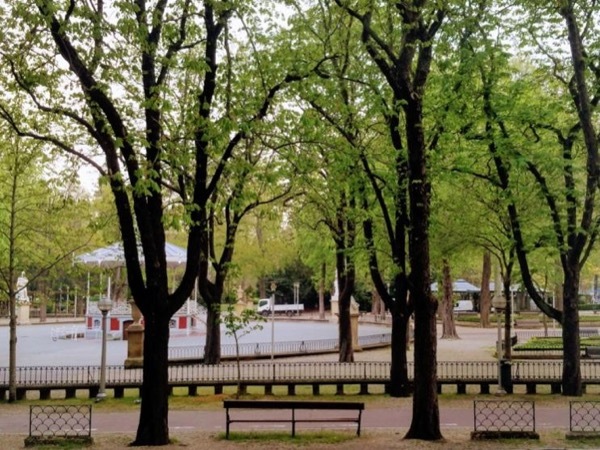 You might want to start your day with a coffee from a local vendor and a look around the Plaza de la Virgen Blanca, the heart of Vitoria's historic centre. Construction on the nearby Cathedral of Santa Maria began in the 13th century and the striking building still stands proudly at Vitoria's highest point, surrounded by the meandering network of the city's oldest streets. As you walk through Vitoria, your guide will help you sample the best of the regional cuisine: pintxos anyone? Your guide is happy to customize a private Vitoria tour that reflects your unique interests in this charming Spanish city.